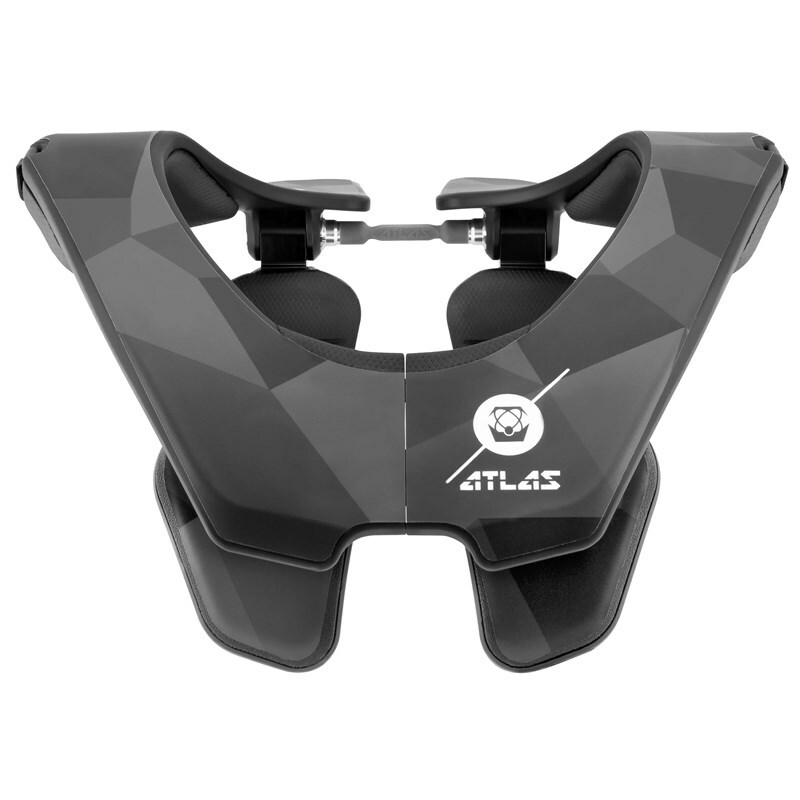 Weighing only 599 g, this smaller, lighter brace makes you feel like you are wearing less, but it has increased surface area to maximize impact distribution. 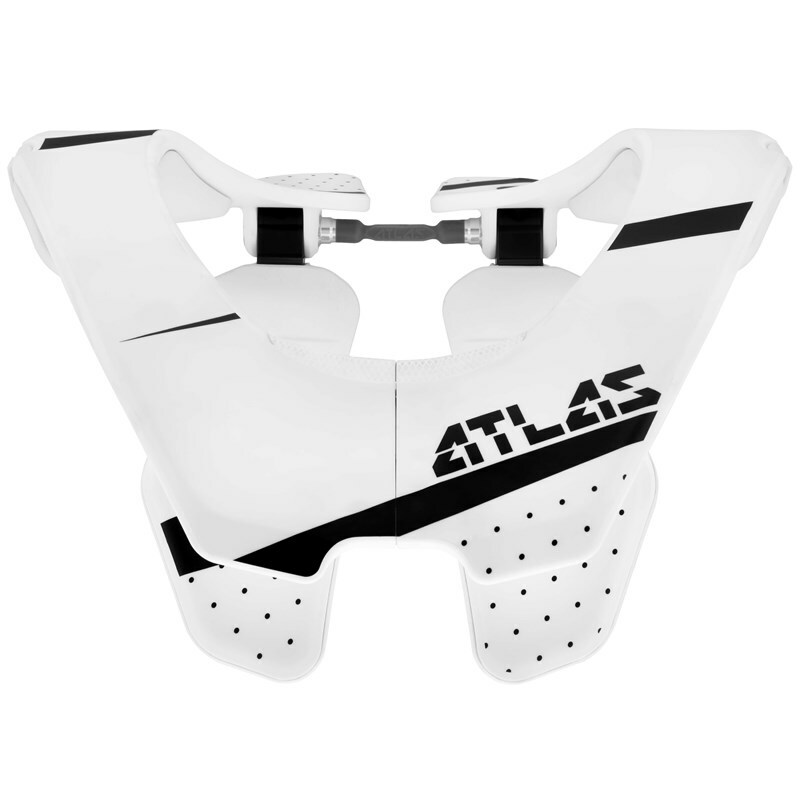 It avoids both the spine and sternum by sitting on the surrounding muscles. 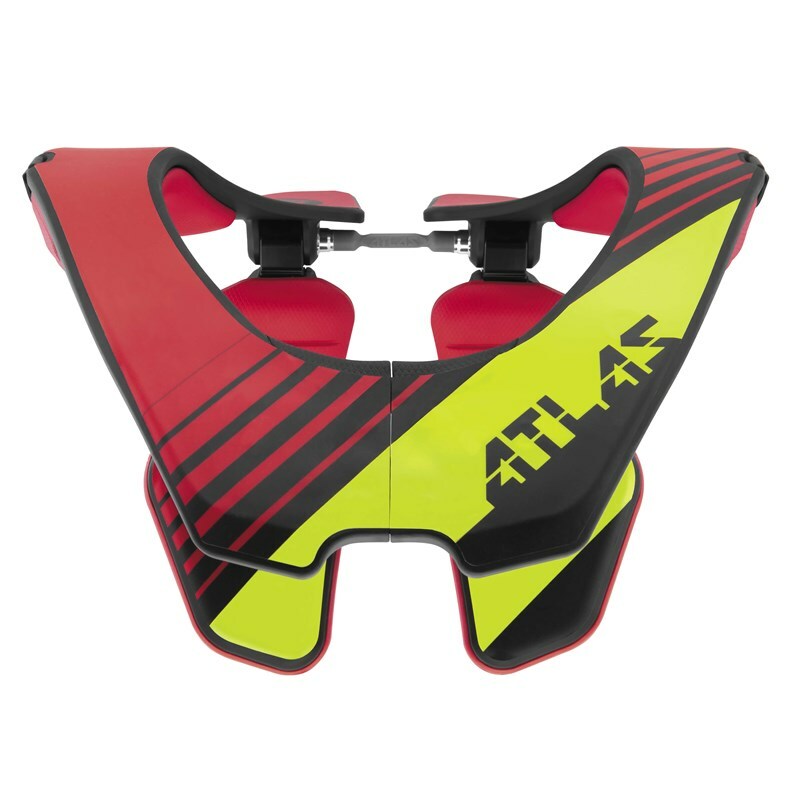 The Atlas Air Brace features light, tough padding material in vibrant colors and an innovative tether that eliminates the need for multiple tools during adjustment. 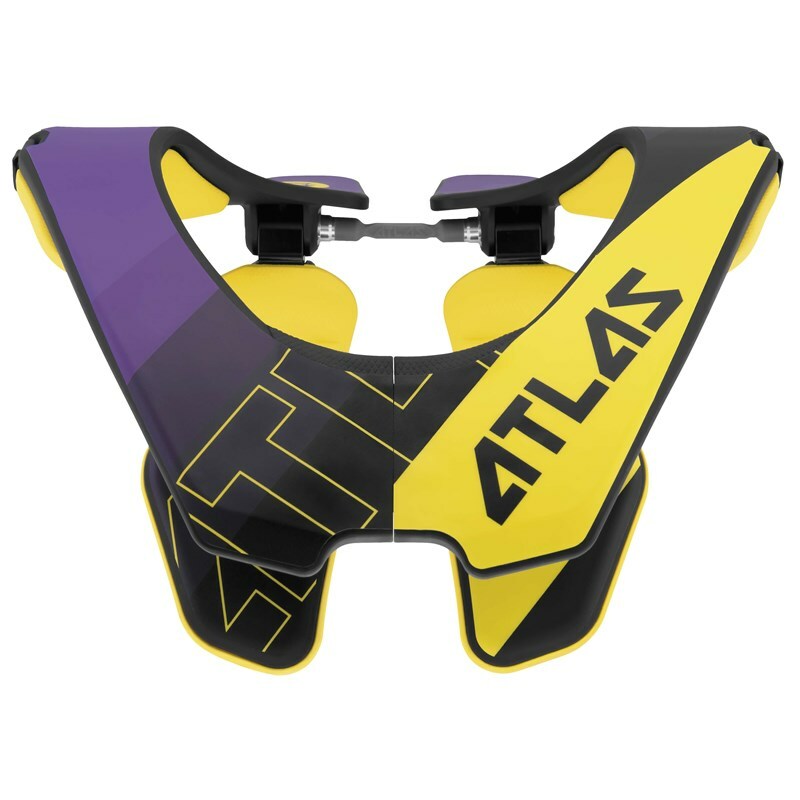 Its Hybrid Strap combines the comfort of a chest strap with the function and versatility of elastic X straps. 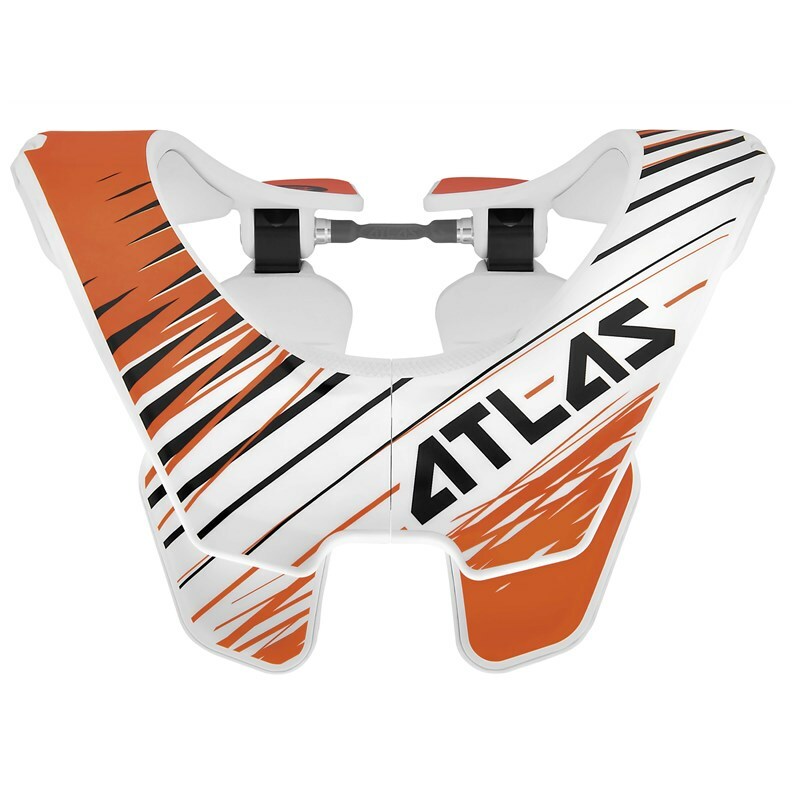 Its Split-Flex Frame mimics natural body motion for ultimate comfort, and its Easy Open system allows for quick, repeatable entry and exit with a simple push of a button, in any weather condition.